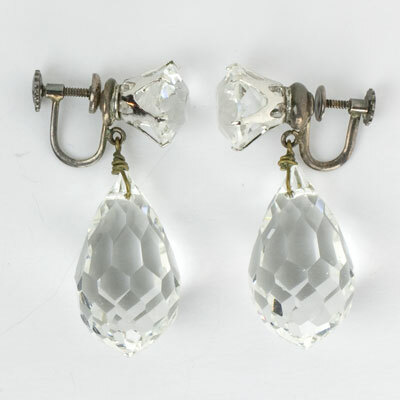 A fully-faceted crystal briolette is the focal point in these substantial 1930s earrings. 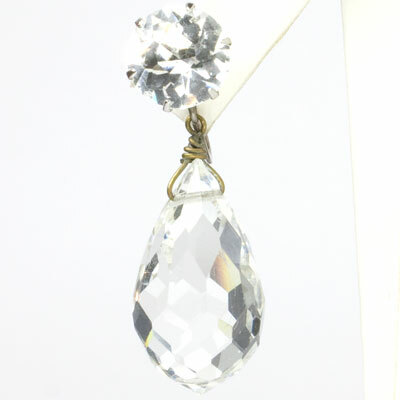 A faceted, prong-set, round crystal stone sits at the earlobe. 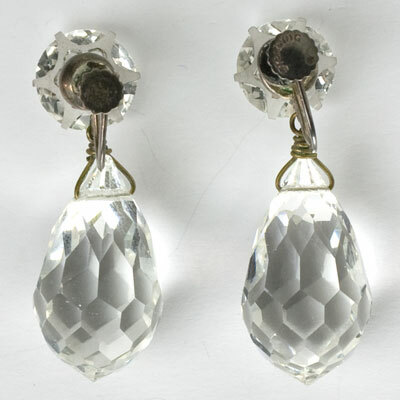 The screw-backs are sterling silver and can be modified for pierced ears. 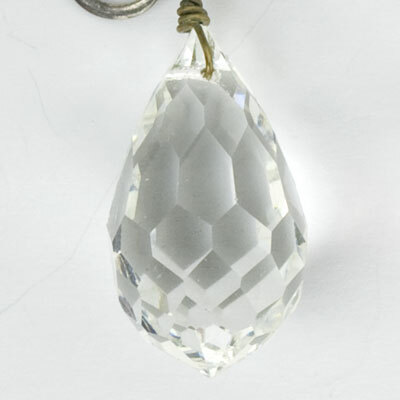 The round stone at the top is very prominent – 1/2″ diameter by 3/8″ deep – so be ready to make a statement! These beautiful and unusual earrings sparkled on the runway at Toronto Fashion Week for Spring 2019. 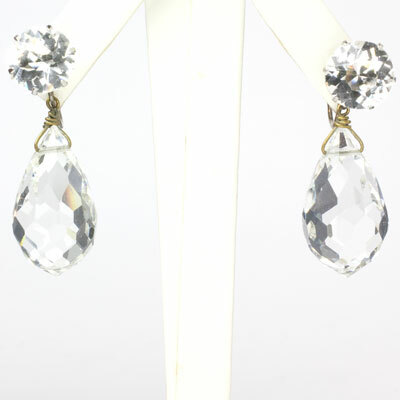 Add some sparkle to your jewelry wardrobe!